1. 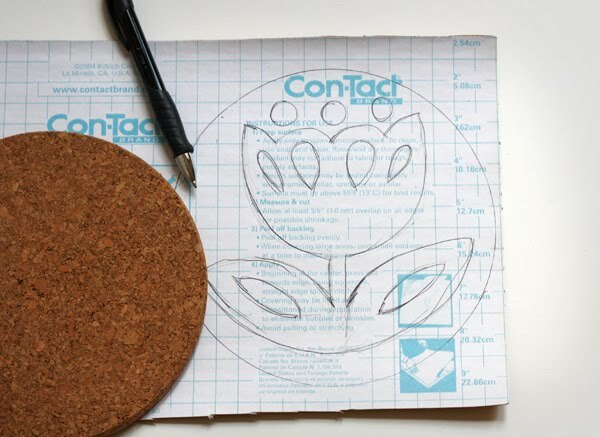 On the self-adhesive cork backing, trace around the trivet. Draw a design inside. Don't get too tricky or it will be hard to cut. 2. Cut out the design with a scissors or craft knife. 3. Paint the trivet so your cutouts will show up nicely. Let dry. 4. Peel the backing off your cork pieces and stick them on. Done. Leave your cork pieces unpainted or a hot pan will stick to them, no matter how cute they are. Brushing on paint will get it into little nooks and crannies better than using spray paint. If you choose to spray paint, don't use your finger to smear it into the crannies. Cooking oil, rubbing alcohol, and nail polish remover will not take spray paint off your finger. An abrasive sponge will, but it will be uncomfortable. Nice! And lotsa potential there for everyone to personalize with their own designs. Make sure the cut-out design won't make your trivet too wobbly, unless you just want it for decoration. I have some of those IKEA trivets! What a great idea! hahaha! i LOVE your comment about ironing by the alfabet!!! Your tips cracked me up!! I know more now about ironing, painting cork, how not to paint cork and how to remove paint. And you were so clever with the teaching! LOVE IT!!! You are so witty! I laugh with delight through every post! I love the symmetry of your flower design. You could totally whip up a printable poster including that. So cute! I just picked up a couple sets in different shapes from our local dollar store! I can't wait to experiment with them! LOVE these for Christmas presents! Can you link to the trivets you bought from IKEA? Sure thing. I updated the post with the link. so, so cute and so much potential! I love it! Instead of paint I think I will use felt or fabric for contrast. Cuz I know that I want to make something like this. SO.STINKING.CUTE. Great idea! Simple but fun! I love your personalized trivets! 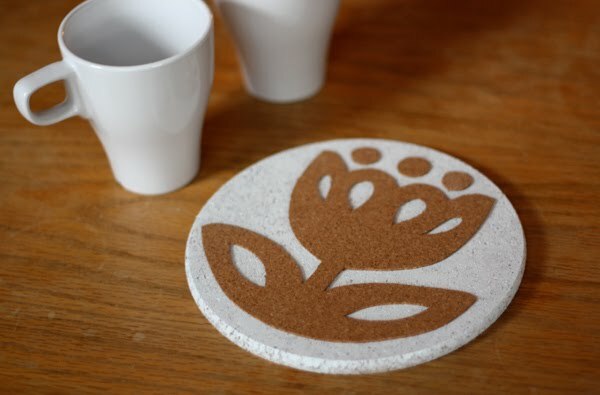 Though, to avoid the wobbling, I would use a contact paper to cut out the motif, stick it to the unpainted trivet, spray paint it and after remove the contact paper. It would be the same look, less bumpy and cheaper. What if we used an ink pad instead of paint and just directly rubbed the ink onto the cork? Contrast would be achieved but no paint injuries--to pots or people! Ink is an interesting idea. I've also thought maybe I should just draw on there with a Sharpie. Or I wonder if watercolor would bleed too much. Anonymous, that's a good idea, except your hot pan can't touch any of the painted surface or it might stick. Wobbling hasn't been a problem. As long as the design covers enough surface area or has enough pieces near the edges, pans are stable. they look lovely and your helpful hints made me laugh. That is adorable! Nothing like learning by experience, huh? this is awesome. i love it, and the flower is soo cute. I the silhouette is amazing and the ideas are endless for its use, especially with kids! Would love to own one! Love this - how creative! 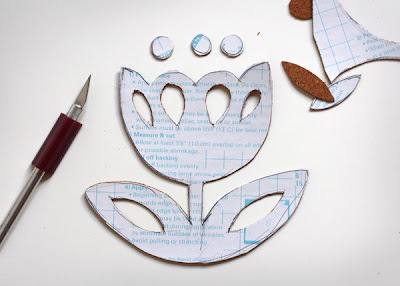 Wanted to let you know I posted a link to this tutorial today on PaperFriendly.